The following interview is with Louis Bing a certified NFLPA and NBPA agent, and Managing Director of Zoe Sports in Dallas, Texas. Connect with Louis on Facebook and Twitter. Louis Bing is a University of Miami graduate where he majored in finance. Before enrolling in law school, Louis worked for the investment bank, Goldman Sachs. 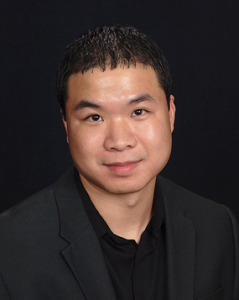 He later earned his Juris Doctor from the Southern Methodist University Dedman School of Law in 2013. Currently, Louis is the Managing Director of Zoe Sports in Dallas, Texas. Louis’s atypical sports career started in 2008 when he experienced a life-changing moment. During that summer Louis met one of his childhood idols and learned that the player had been taken advantage of all throughout his playing career, and consequently faced tough financial circumstances. That impactful experience coupled with the fact that many professional athletes end up in similar financial conditions has made Louis determined to positively impact the agency business. In October 2012, Louis started his own agency, Zoe Sports, and its mission is to inspire athletes to be the best professional they can be on and off the field. Josh Corriveau: Why did you decide to switch careers from an investment banker at Goldman Sachs to an NFLPA and NBPA agent? Louis Bing: Goldman Sachs was my very first job out of college. I was finance major and I thought I wanted to be an investment banker or a real estate developer. I thought that was the realistic thing to do. Sports was always the one thing that I loved growing up, but after high school was done I thought I had to move on with the next step of my life. When you are finance major and you work at Goldman, that’s supposed to be the best possible job that you can have. But, I felt like the corporate world really wasn’t for me and sports was my real passion. I went to law school and I knew being a sports agent was what I wanted to do. I wanted to make a change in the industry and not be like everyone else. I wanted to learn all I could to be a different kind of agent. When I was in law school I tried to do everything I could to prepare myself to become an agent. My plan changed many times. When I first went to law school my dream was to work for a couple of big time agents that I targeted and kept trying to get a job with them, but it never worked out. Eventually, before my last year of law school started, I just thought “forget all of this, I am just going to do this myself. I am not going to try to work for anybody else again for the rest of my life.” It was the best decision I’ve ever made. Agents aren’t going to help you because they don’t want to train someone who might be their competition one day. I was lucky enough to meet many people who weren’t agents who knew all about the industry that took me under their wing. Financial advisors, sports marketing people, business managers, family members of professional athletes, and athletes themselves. I was able to learn a lot about the industry from them, rather than from an agent. Josh Corriveau: You grew up in both a single parent and low-income home. How have those tough circumstances helped you in your pursuit as a sports agent? Louis Bing: It is really a blessing in disguise. A lot of players do grow up in very tough situations. I feel like I definitely understand where they are coming from. I can relate to them. I’m not just a guy in a suit and tie from another world that is trying to make a buck off of them. I started from the bottom and am living my dream right now. I want to help athletes do the same. Growing up with no money also helps me take the risks that are necessary in starting my own business. A lot of people thought I was crazy when I left Goldman Sachs during the recession. Most people would think I was crazy to not interview for a single job my last year of law school because I was set on starting my own company. I had the grades to interview with some big law firms after my 1L year. A lot of people who go to law school take out massive amounts of student loans and would never dream about going out on their own because there is so much risk. What helps me is thinking about what’s the worst that can happen. Let’s say being a sports agent doesn’t work out and I go completely broke. Well, I lived the first 18 years of my life without any money whatsoever. So if that’s the worst that can happen (going back to where I came from) it doesn’t scare me at all. That mindset is what has helped me take the risks that have been necessary to get me where I am today. That’s why I think it was a blessing in disguise. Josh Corriveau: What’s behind the name of your agency, Zoe Sports? Louis Bing: “Zoe” (Zoh-eeh) is the Greek word for life. What we want to do is have a lifelong relationship with our players and not just a relationship during their playing careers. I feel like a lot of agents abandon their athletes and move on to the next athlete once their players’ careers are done. Some agents even do this as early as when their player has passed his prime. I really want to have a lifelong relationship with every one of my clients. Also, we want to work with players on all aspects of life and not just on the football field or basketball court. Negotiating a contract or a marketing deal (the typical agency services) is just a small part of what we want to do. We really want to develop our athletes as people on and off the court and help them in all aspects of life, and that’s where “Zoe” Sports name comes from. Josh Corriveau: What players are you currently representing? Louis Bing: I’m currently in the process of signing a multiple time Pro Bowler and All-Pro, the deal should be done within the next few days. My very first client was Dominic Rhodes, the starting running back for the Colts when they won the Super Bowl. I’m really blessed to have a guy of his caliber as my very first client. He last played in the CFL in 2012 but is hoping to get a workout with an NFL team this spring. For my draft class this year, I looked for guys with high ceilings who are under the radar due to one reason or another. Ernst Brun, a tight end from Iowa State, was All-Big 12 his junior year but battled injuries all through his senior year. I feel like he is going to have a long NFL career. Traylon Shead, a running back from SMU, is doing the supplemental draft. He was hurt all but 4 games last season but he is a remarkable athlete for his size. I can’t wait for his pro day, he is going to open a lot of eyes. Finally, Aleon Calhoun was a huge junior college kid who was heading to Alabama and had offers from just about every top school in the nation, but didn’t have the grades to play anywhere this past fall. Josh Corriveau: Zoe Sports provides services with a life plan. Can you elaborate on those services? Louis Bing: We want to develop a plan for their playing career, for their off-the-field endeavors, and for their future. We want to develop them as people, as athletes, and as entrepreneurs. We believe that the main reason why players end up broke is due to a lack of cash flow when they stop playing. Financial advisors are not enough, even if you’re lucky enough to have a good financial advisor rather than one who is just your agent’s buddy or one who gives kickbacks to your agent. Financial advisors put you in a lot of investment products that kick in at the age of retirement which is usually 55, but an athlete’s career usually ends in their 20s and 30s if they’re lucky. Between the end of their playing career and the age where their investment products kick in, they have no cash flow coming in. That’s where they struggle. Allen Iverson is the perfect example. Allen has a $30 million dollar trust fund from Reebok that he can’t touch until he turns 55 in 2030. He recently declared bankruptcy. We want to educate our athletes in entrepreneurship and to connect them with entrepreneurs in the business world. The media always wants to talk about how athletes blow their money because it makes a good story. Yeah a lot of them do, but a lack of cash flow after their playing career ends is the real reason why players are broke after they stop playing. We want to help our athletes become entrepreneurs during their careers so they will have a steady stream of cash flow coming in when they stop playing. Josh Corriveau: Do you believe having a mentor is necessary to break into the sports industry? Louis Bing: You definitely need to get the knowledge from somewhere and it’s not going to come from textbooks. You need to know people who have been in the industry because it is such a small industry and such a secretive industry. I know that Josh Luchs came out with a book about the bad stuff in the industry and Drew Rosenhaus has a couple of biographies. But as far as how the industry really works though, you really do need to know people who have been in it or know professional athletes who can tell you about all the things they have lived through. You need to get the knowledge from someone who has first hand experience in the industry to understand how it works. Otherwise you will have to try to learn on the job and you are going to run into things you wish you had known about before. Josh Corriveau: What advice do you have for someone pursuing a career as a sports agent? Louis Bing: My advice would be to find out if you really want to do this, and if you really want to do this bad enough, and if that’s all you want in the world, then just go get it. It doesn’t matter how many obstacles there are, what the odds may be, or how many failures or rejections you get, because if you want it bad enough then you will find a way to do it. If there’s a will, there’s a way. 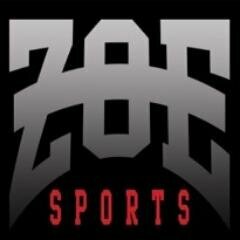 Josh Corriveau: Does Zoe Sports currently have internship opportunities? Louis Bing: Yes, we do. We are currently looking for two interns. The responsibilities will include assisting with marketing of clients, scouting of college players, agency research, preparation for presentations, and social media efforts. We are looking for undergraduate students anywhere in the country who are interested in a career as a sports agent. This person should be a self-starter, hard worker, flexible, and creative. Further, an ideal candidate should have excellent verbal and written communication skills, and should have extensive knowledge of the web, social media, YouTube, Word, Excel, and PowerPoint. A background in sports is a bonus. Please send your resume and cover letter to Mr. Louis Bing, louis@zoesports.com. Josh Corriveau: On behalf of SportsAgentBlog.com and all of our readers, I would like to thank Louis Bing for taking the time out of his busy schedule to share his experiences as an agent, as well as his knowledge about the sports industry.